LCD TV with QD or OLED TV, what would be Samsung’s choice? At the comprehensive workshop of the 9th Display National R&D Investment Program held on August 20, KH Kim, executive director of Samsung Display stated his view on the future of display for TV. Kim is expecting that despite many advantages of OLED TV, it is likely to take some time to open a market considering price competitiveness. He also added that accordingly Samsung display will work on developing technologies of color reproduction range, slim and improvement of contrast range for LCD for a while, leading the market and the business will focus on not OLED but LCD in the years ahead. In the year of 2012, the OLED TV market was dominated by either Samsung or LG, and now only LG is taking vigorous efforts to open OLED TV market. Under this circumstance, the price of the 55inch FHD curved OLED TV has decreased from initial $15,000 to $3,000 but still it is twice more expensive than the 55inch FHD LCD/LED TV, falling behind in price competitiveness. http://jpn.olednet.com/wp-content/uploads/2015/01/140821_QD를-적용한-LCD-TV와-OLED-TV-삼성의-선택은.jpg 323 430 OLEDNET http://jpn.olednet.com/wp-content/uploads/2015/09/logo_oled.png OLEDNET2014-08-21 14:57:012015-02-03 15:10:23LCD TV with QD or OLED TV, what would be Samsung’s choice? The premium smartphone ‘Galaxy Alpha’ released on 13th of this month is the first to feature the specialized design approach with a metal frame. According to the Samsung’s own website, the ‘Galaxy Alpha’ unveiled its new design approach applying metal frame material for solid finish. The grip is emphasized measuring at just 6.7mm thick and the weight of 115g, and it comes with 4.7-inch HD super AMOLED (1280X720) display. Samsung says that the Galaxy Alpha takes the Exynos 5430 and the model number is Exynos Modem 303 which is the Application Processor (AP) that Samsung developed independently with the world’s first 20nm manufacturing process and as a result the power consumption reduces to 25% compared to its predecessor based on a 28 nm process. Also, the Galaxy Alpha has connectivity with the Samsung wearables such as Gear 2, Gear Fit, etc. and includes the latest features like ultra-power saving mode, finger print scanner, S-health, etc. The Galaxy Alpha will be available at the beginning of September in over 150 countries sequentially. Who has a key to OLED, JDI or JOLED? As participation of Taiwanese and Chinese enterprises in OLED panel business, which is dominated by Korea, is taking place, the Japanese government begun its active involvement in the OLED business. “Innovation Network Corporation of Japan (INCJ),” a private and public fund led by the Japanese government, established Japan Display Inc. (JDI) by gathering a display team with Sony, Hitachi and Toshiba who have mobile display technologies to save the uncompetitive display industry of Japan. A mission of JDI is to produce LCD and OLED for mobile devices. Last month, INCJ set up JOLED with JDI, Sony and Panasonic for the OLED production and each OLED related department of the companies will be united in January 2015 to manufacture over medium size OLED. Considering the process of JDI and JOLED establishment and future trend of technology, Sony is expected to be responsible for core technology and play the key role. Sony is the only OLED maker as well as mobile device and medium size monitor in Japan. All these items have LTPS TFT and RGB OLED structure using vacuum evaporation method. Also, the OLED TV by Sony is composed of oxide TFT and WRGB OLED structure. Sony is not manufacturing the OLED panel for mobiles and TVs but is certainly a leading company who owns all the technologies. The OLED developed by JDI is 5 inches and uses LTPS TFT and WRGB OLED technology. It is considered that Sony’s technologies made JDI possible to develop the OLED panel in such short period. As commercialization of JDI’s OLED delays, the new JOLED was born. JDI, Sony and Panasonic joined it only for the OLED. JDI has the majority of the voting rights of JOLED, but Sony has a large portion of JDI shares. Thus, it seems that Sony will be the main party of JOLED. Hence, Sony’s super top emission technology is expected to be applied to 10” OLED panel by JOLED. Sony’s oxide TFT and WRGB OLED technology applied large size OLED panel will be used for UHD high luminance product with super top emission structure. Production will be in Gen8 oxide TFT line owned by Panasonic. It is difficult to commercialize ink-jet technology of Panasonic because characteristics of its luminescent materials do not reach that of WRGB materials. The OLED roadmap of Sony, however, has the flexible OLED using the OTFT and ink-jet technology. It may take time but flexible signage is expected to be seen at a very low price. http://jpn.olednet.com/wp-content/uploads/2014/08/201.jpg 400 500 OLEDNET http://jpn.olednet.com/wp-content/uploads/2015/09/logo_oled.png OLEDNET2014-08-08 15:22:282015-02-03 15:24:58Who has a key to OLED, JDI or JOLED? The Innovation Network Corporation of Japan (INCJ), JDI, Sony and Panasonic have finalized an agreement on JOLED establishment by January, 2015 through an integration of OLED panel R&D organizations owned by Sony and Panasonic for mass-production, development and early commercialization of the OLED panel. INCJ has 75% of JOLED’s voting rights. INCJ and JDI have agreed on making an investment in pilot line installation for mass-production. 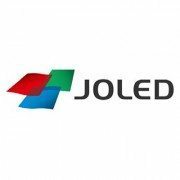 JOLED aims to become a leading company in the OLED sector by collecting the technologies owned by Sony and Panasonic such as the OLED layer technology, oxide TFT technology and flexible display technology, and converging with JDI’s mass-production technology. JOLED plans to develop the OLED panels for application section first, including tablet PC, note PC and signage for mass-production of medium and large size OLED panels. A future target of JOLED is mass-production of the flexible OLED. Everdisplay announced that it has become the first seller of AMOLED panel with sales of HD AMOLED panel on its homepage on July 23rd. According to a Chinese medium, ZOL, the specifications of the AMOLED panel sold by Everdisplay include 4.99 inches, 0.66mm thickness, and 10.2g weights with HD (1280×720) resolution and application of real RGB pixel structure. It also complies with NTSC standards, 100% color reproduction, and has 700Mw power consumption. The sales of AMOLED panel by Everdisplay is expected to be an influential variable to the market of the AMOLED panel for mobiles which is currently dominated by Samsung Display. Everdisplay plans to hold ‘2014 Everdisplay AMOLED new product launch and eye health protection symposium(2014和辉光电AMOLED新产品推介暨健康护眼研讨会)’’ and 5” HD AMOLED will be displayed. Dr. Taewon Kim’s team of photovoltaic energy convergence research group of Korean Institute of Industrial Technology (KITECH, President Yong-Soo Lee) developed an original technology to refine organic light-emitting materials in bulk for fine OLED TV at low price. Dr. Kim’s team established a new concept for the refining technology by using Ionic Liquids (ILs), and it can solve issues of high cost·low yield rate arisen in production of the organic light-emitting material for the OLED TV. Ionic Liquids are liquids that only consist of positive and negative ions at room temperature and stays in liquid form at high vacuum (~100℃) with almost no volatility. Recently, ILs became a future clean solvent in green chemistry field with a strength of good solubility for high molecular substance and a feature of metal salts. Until now, ‘sublimation refining method’ has been used to get high purify organic light-emitting material by utilizing the difference of sublimation points between vaporization and solidification of a material. However, cons of this method are low yield rate and very high production cost because it is impossible to realize complete auto and continuous process. To address this issue, Dr. Kim’s team started developing the large scale refining technology for the organic light-emitting materials at low cost since 2011 and applied for original patent in December, 2012. Their effort on verifying the possibility of the technology’s application produced this result in 19 months. The key of the result is the application of the high purity refining technology on the organic light-emitting material for the OLED TV by focusing on the non-volatile feature of ILs at high vacuum·high temperature. This technology uses a principle of separating impurities in the order of vaporizing the organic light-emitting material in a vacuum chamber; dissolving it in a liquid filter of ionic liquid; and recrystallizing supersaturated material in the liquid. It enables to get 99.95% of high purity organic light-emitting material through one refining process. It is a completely new concept of large scale refining method based on the non-volatility characteristic of ionic liquid at high vacuum·high temperature. The team is credited with the success of new technology development which can overcome the cons of the existing sublimation refining method including refinery yield rate, automation and continuous process of equipment, and efficiency of mass production. It is also expected to bring a huge cost reduction effect by recycling; collect and reprocess during refinery process, of the expensive but non-volatile ionic liquid. According to “2014 OLED Emitting Material Annual Report Market Forecast (~2020)” by a professional OLED market research firm, UBI Research, the OLED emitting material market is expected to grow to 1.3 trillion won in 2017 from 2014 estimation of 543 billion won. Forecasted annual growth rate is over 30% and experts see that the growth will be much larger if large size display market including the AMOLED TV expends in full-scale. The team currently applied 16 cases for patent with related process․equipment technology in and out of the country and plans active technology transfer to related businesses. OLED TV market is expected to begin flourishing from the end of 2015. Mr. Don Kim, the CFO and a senior vice president of LGD said that “from our point of view on the OLED, the current levels of expected performance and yield rate are at satisfaible level, but innovation in pricing is what we concentrate more” and “by the end of 2015 or early 2016, when the operation is in full capa., we can reach the economy of scale and bring a significant performance.” Mr. Kim also hinted a soon-to-be bloomed of LGD’s OLED TV market. LGD started supplying panels for the OLED TV to major Chinese TV set makers and plans to operate M2 line for mass-production in this third quarter. It also continuously leads the OLED market with scheduled launch of 55”/65”/77” curved UHD OLED TV. In the meantime, sales for Q2 in 2014 was 5.979 trillion won which is declined by 9% from the Q2 in 2013 but increased by 7% from the Q1 in 2014. And operating profit was recorded surplus consecutively for nine quarters at 163.1 billion won. 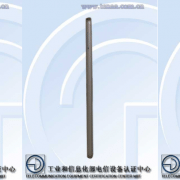 Ctimes, a Chinese medium, reported that a Chinese smart phone maker, Gionee, will introduce an ultra-thin smart phone modeled GN9005. GN9005 used AMOLED panel and is 0.55mm thinner than 5.55mm of the previous model, which was introduced as Elife S5.5 last February. It is noticeable that 4.8” HD AMOLED panel is applied which is smaller than the 5” FHD Super AMOLED applied to the previous Elife S5.5. In general, the AMOLED panels produced by Samsung Display are named super AMOLED. However, no particular name for the AMOLED panel applied to GN9005 and its low performance indicate that the panel is highly likely to be supplied by AUO. It is known that AUO has started supply to a Chinese maker from last June but any specifics on the maker has not been revealed. A Chinese smart phone maker, BBK, drew attention with 5.75mm VIVO X3 after the launch of 6.18mm Ascend P6 by Huawei last year. 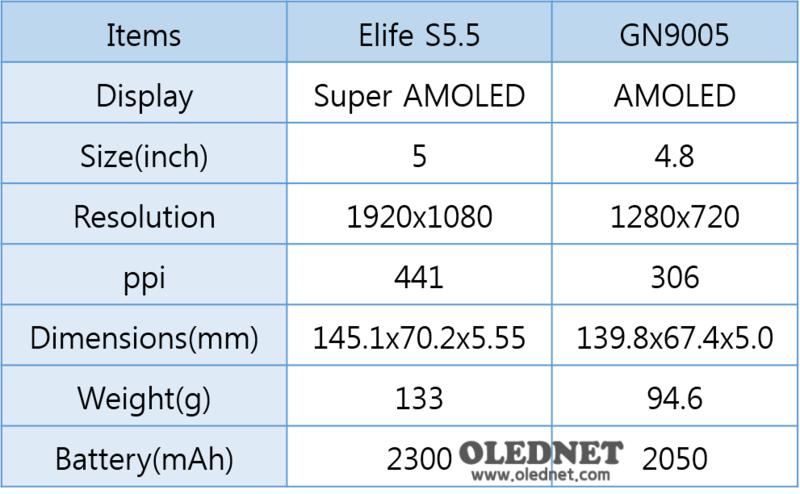 Followed by launching, Gionee introduced the 5.55mm Elife S5.5 in February and will launch 5mm GN9005 and that fierce competition will begin soon in the ultra-thin smartphone market in China. 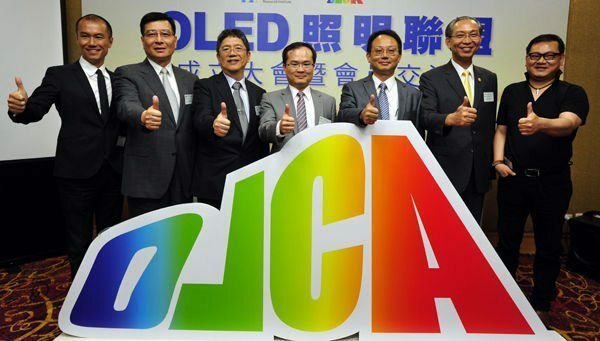 According to CTIMES, a Taiwanese professional electronics industry medium, the OLED Lighting Commercialization Alliance (OLCA) was recently established for the development of the OLED lighting industry in Taiwan. Founding members of the OLCA are the Industrial Technology Research Institute (ITRI) and Taiwan Lighting Fixture Export Association (TLFEA), and various companies from materials to manufacturing are members of the OLCA. It is consisted of five committees such as lamps, lighting design, materials, fixtures and optical engines. Chairman of TLFEA, Steve Lin said, “the OLED is ideal for proximity lightings and it is already installed in luxury apartment in Taiwan. 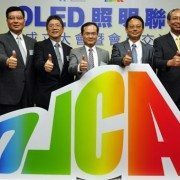 Due to the expensive price of the OLED compare to the LED, it is not in mass-production, but it will become a standard lighting in all households within 3 years.” Vice President of ITRI, C.T.Liu, also forecasted the OLED playing an important role in IoT (Internet of Thing) sector and emphasized that Taiwan will be the center of the OLED lighting industry. “2014 OLED lighting Annual Report” by UBI research forecasted that the OLED lighting market will be about US M$ 4,700 by 2020.